The all new Bajaj Dominar 400 measures 2156mm in length. Dominar 400 measures 813mm in width. The total height of Bajaj Dominar 400 is 1112mm. The wheelbase length of Bajaj Dominar 400 is 1453mm. The Fuel Tank capacity of Bajaj Dominar 400 is 13 litres. We guess it is sufficient enough for long rides. The tank capacity could have been made a little bit bigger. Expect Bajaj Dominar mileage to be around 25Kmpl to 30Kmpl as it the engine is heavier. 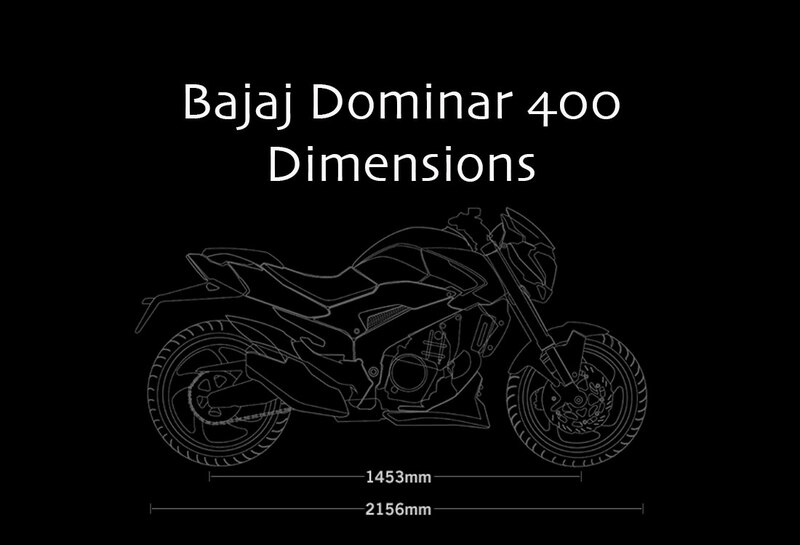 That’s about the dimensions of Bajaj Dominar. Dominar from Bajaj is offered in 2 variants – disc brake and ABS version. The ABS version is priced INR 14,000 steeper than the Dominar Disc brake version. The Ex-showroom Delhi price of Dominar 400 ABS is INR 1.5 lakhs. Dominar is available across all major Bajaj dealers across the City ( 22 outlets as of now). The booking of Bajaj Dominar 400 can be made by paying an upfront fee of 9000 INR on Bajaj Dominar’s official website. Deliveries of Bajaj Dominar 400 will start from January 2017 onwards. 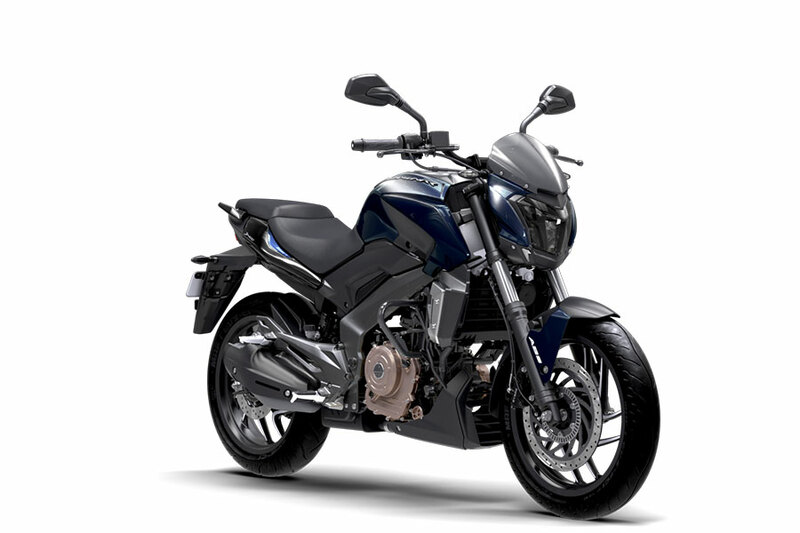 Bajaj Dominar 400 is offered in 3 different colors: Midnight Blue, Twilight Plum and Moon White.